Just kidding - but changing my undercrackers did make a difference. Just kidding :015: - but changing my undercrackers did make a difference. Away last week on a trip. The comfort seat worked wonders for me and I couldn’t tell any difference in leg reach to ground. I haven’t even thought about a sore bum since I installed it. The stock seat was brutal after about an hour. Highly recommended but ridiculously expensive. The biggest difference I noticed was a reduction in vibrations felt through the saddle. 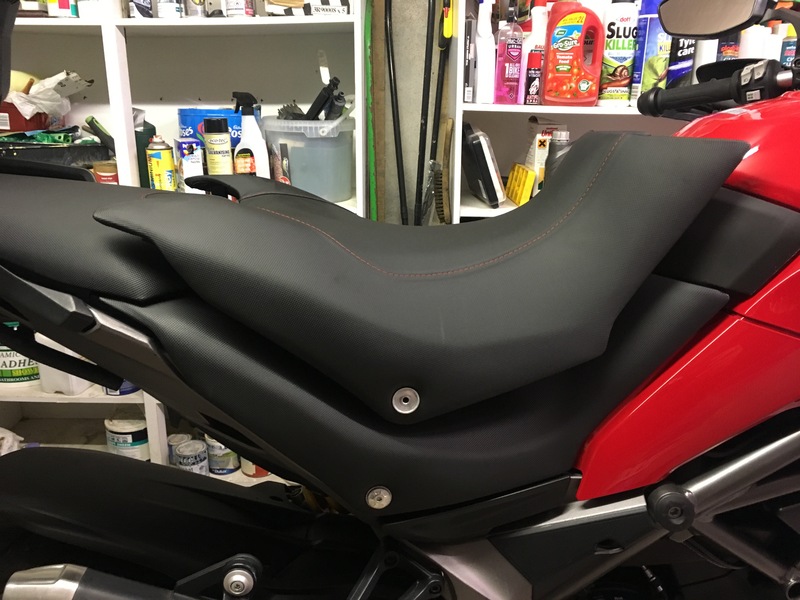 I’ve also tried modifying seats with memory foam inserts and adding external cushions but usually made them worse so for me the cost was worth it. 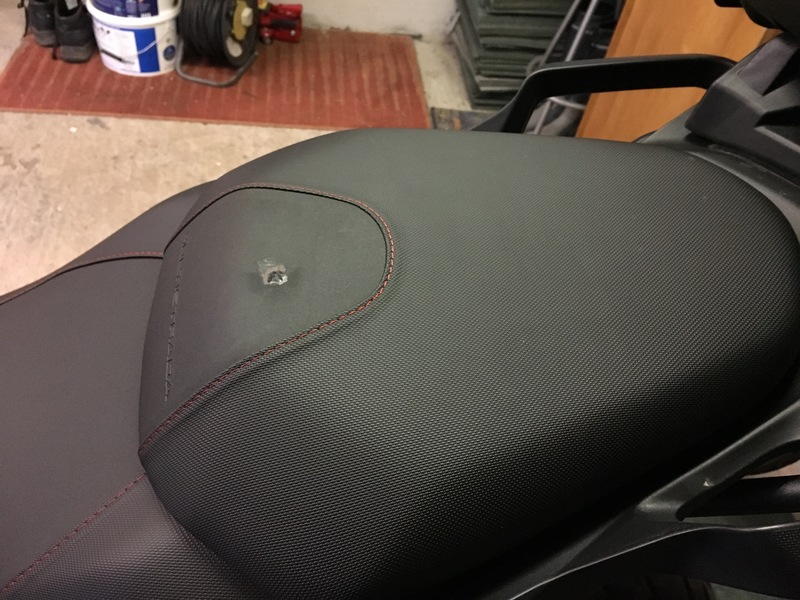 I nicked the rear seat with a stud from my walking shoes as I was getting off the bike recently (I know, I know - why was I wearing walking shoes while riding a bike). Anyway - I'm looking for a rear seat (year 2017) if anyone has one to spare. I have no problem with the comfort, but I do wonder how Ducati can accomplish such technical wizardry in many areas but they cannot figure out how to make the seat height adjustable. The cinic in me assumes it is just a scam to charge £300 for a lower seat option.